The Android 7.0 Nougat update for the Samsung Galaxy S7 and Galaxy S7 edge has begun rolling out, putting an end to the beta testing phase of the firmware. According to a report, the update which is rolling out initially, for those on the Nougat beta OS. The update will be rolled out to those on Android Marshmallow too, making it the official update roll out. 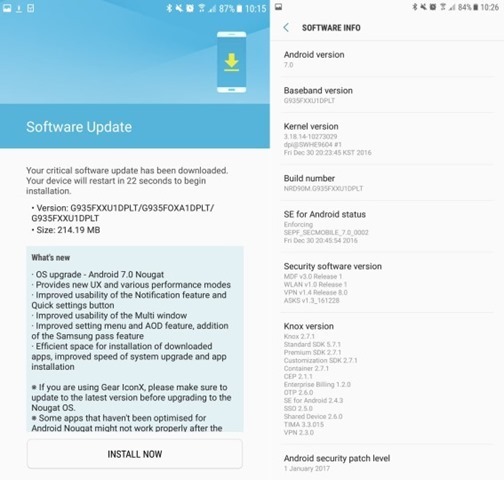 Samsung has patched the Nougat firmware to the January Android security patch, but the update is based on the slightly older Android 7.0 Nougat source, instead of the 7.1.1 Nougat update. 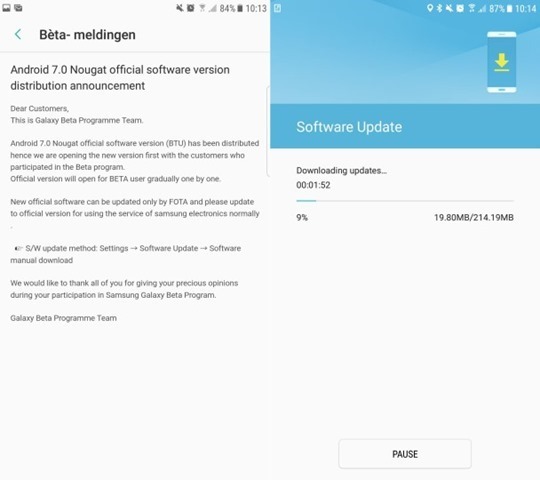 The Android 7.0 Nougat update for the Samsung Galaxy S7 and Galaxy S7 Edge, weighs around 214 MB for those on the beta firmware. There is a rumour floating around that the S7 and S7 Edge Nougat Update has been pulled, to fix some bugs, but this may only apply to the Chinese variants of the devices.